How can a subset of data stored inside a LUN be moved without having to migrate the entire LUN? 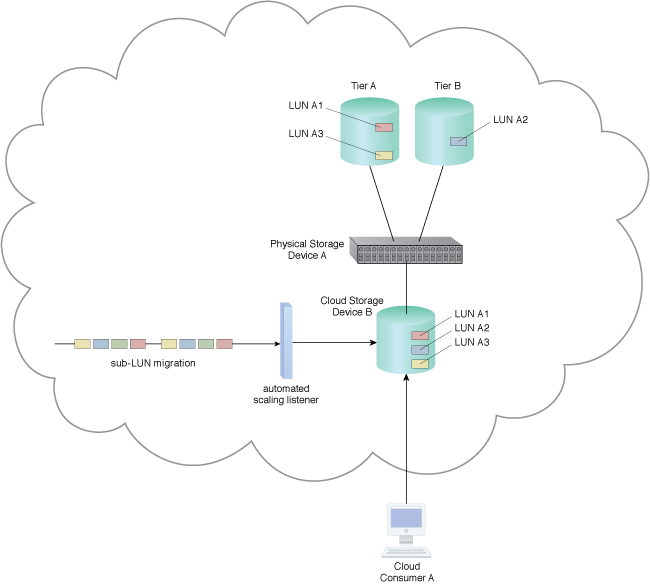 A subset of data stored inside a LUN has increased performance requirements that cannot be fulfilled in its current location. 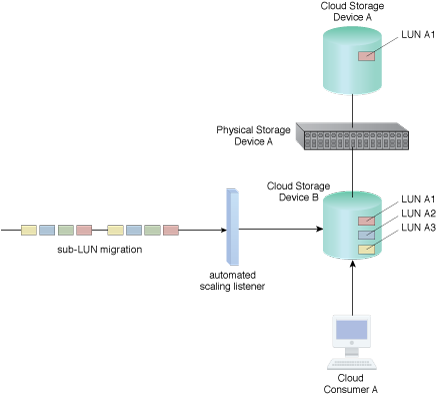 A solution is implemented capable of monitoring performance levels against required performance levels and coordinating the migration of datasets, as required. An automated scaling listener mechanism is used to monitor actual performance against required performance levels and can initiate necessary migration via a sub-LUN migration mechanism. An automated scaling listener mechanism is connected to a sub-LUN migration mechanism after applying the Sub-LUN Tiering pattern. A sub-LUN migration mechanism moves Dataset A2 to a higher performance Tier B.